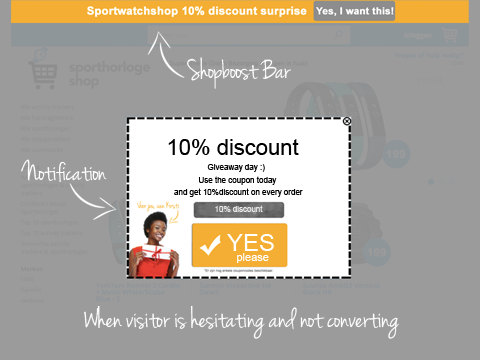 Every webshop "suffers" from visitors who hesitate about placing the order. Visitors interrupt during check-out, leaving a full basket. Visitors yo-yo between your webshop and the webshop of the competitor. Al lot of them just need the little friendly push. 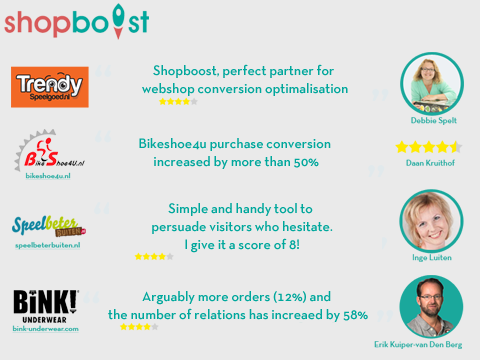 Shopboost detects this behaviour and offers a surprise automatically. This can be a free product or service, extra support, free shipment, or a coupon for a discount. By enthuse the visitor you sell more. Because of the advanced hesitation-detection-system you only offer the surprise to the visitors who really need something extra in order to place the order. 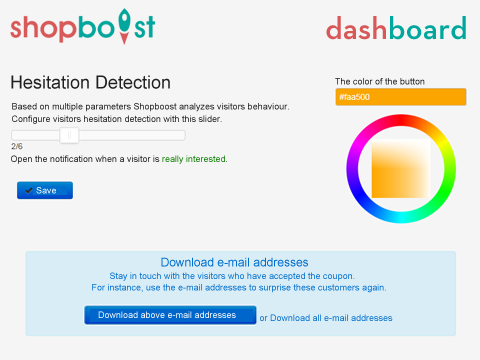 Based on multiple behaviour-parameters Shopboost detects hesitation. The visitors who hesitate and don't place the order are offered the surprise. As the webshop-administrator you can configure a surprise (free product or service, extra support, free shipment, or a coupon for a discount, et cetera). When a visitor accepts the surprise you van ask for an e-mail address (optional or mandatory). 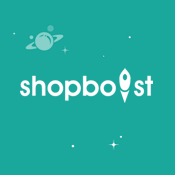 Shopboost can also automatically send e-mail reminders to this e-mailaddress. As the webshop-administrator you van download these e-mail addresses from the user friendly dashboard. - Very simply way to improve conversion: installed in a couple of clicks.